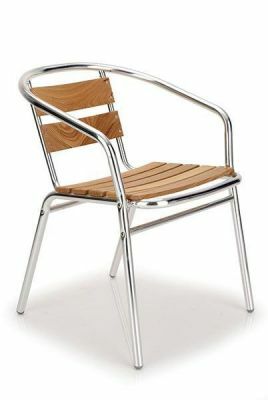 Aluminium armchairs with teak slats. Lightweight, stackable and suitable for outdoor use. Designed for outdoor commercial use. Lightweight aluminium outdoor bistro chairs with teak slats in the seat and back. Delivered assembled and ready to use for your convenience.